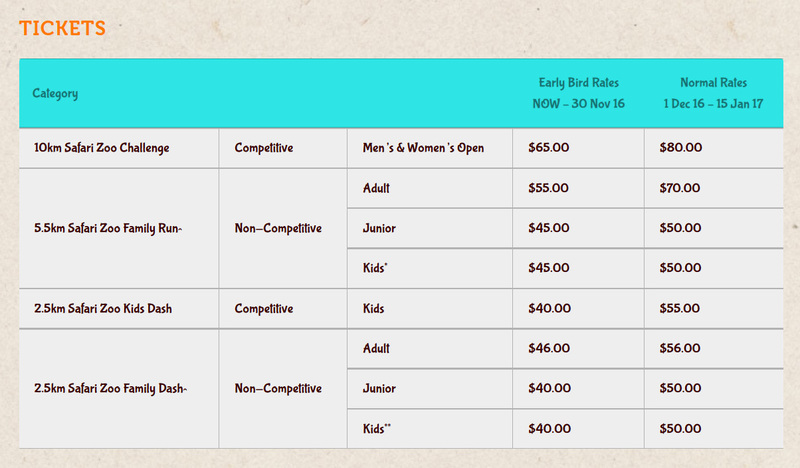 Safari Zoo Run is back! Yes, come 2017, it will be happening on 18 February (Saturday) and we just can't wait for it to take place. The girls were literally jumping in the air when I told them that we would be joining next year! As you know, we have participated in a handful of family-friendly runs over the years. 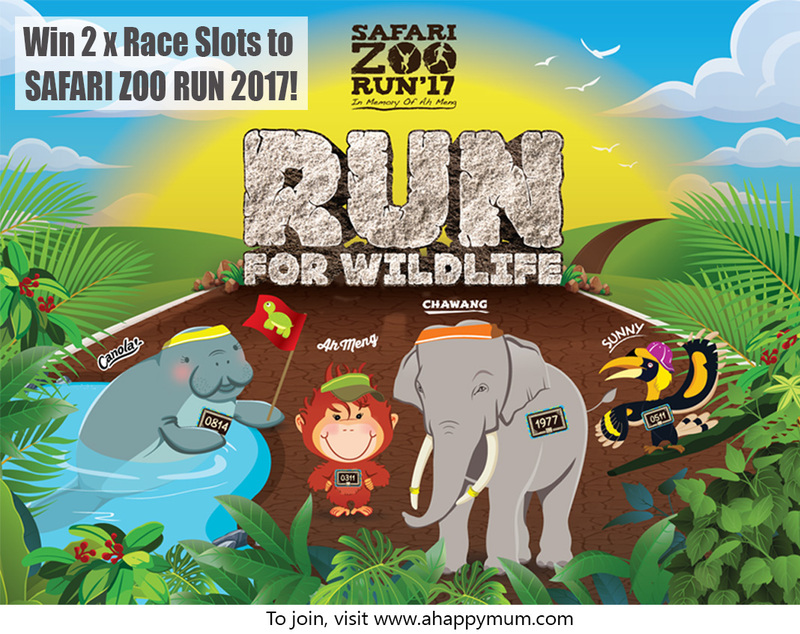 The Safari Zoo Run remains our favourite because it combines two of our loves - animals and running. In fact, being the avid runners and animal lovers that the girls are, this is just the perfect run for them. While it will be a day for the family to come together, keep fit, bond and enjoy at the same time, it will also be a time when we remind ourselves on the importance of wildlife conservation. 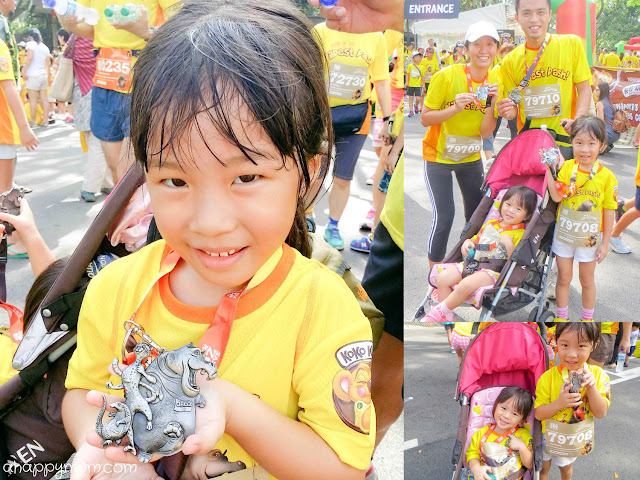 Did you know that the Safari Zoo Run was conceived to commemorate Singapore Zoo’s famous matriarch and one of Singapore’s most loved animal personalities — Ah Meng the Sumatran orangutan, who died of old age in February 2008? The theme for next year's run is “Run for Wildlife" which focuses on raising awareness for wildlife conservation. There will be four animal icons featured - Ah Meng the Orangutan, Chawang the Asian Elephant, Canola the Manatee and Sunny the Hornbill and each animal icon team supports an endangered wildlife species that Wildlife Reserves Singapore (WRS) would like to raise awareness for. Oh, here we were at the Safari Zoo Run in 2015 which was the inaugural run (go here to read about our experience and our interview with Young Parents on why we love running)! It still seemed like yesterday when we were running past the animals in the zoo and enjoying every moment of that experience as a family of four. How time flies, right? We now have three in our brood and the baby is going to turn one very soon already! 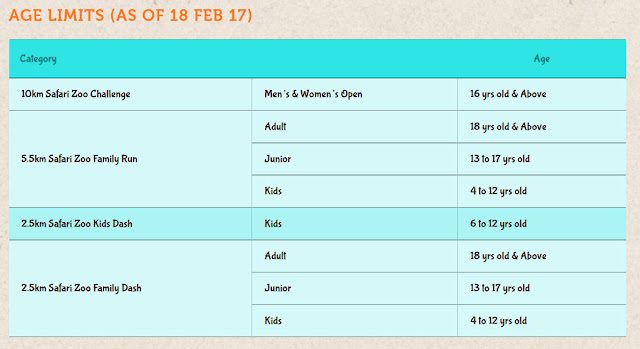 So, talking about age, what is the age limit for the run categories (10km, 5.5km and 2.5km)? Take a look below to find out. Now, many of you may have kids below the age of 4 so not to worry, the good news is children below 3 years old (as of 18 Feb 17) enter for FREE in the non-competitive family categories (5.5km or 2.5km)! However, he/she will not receive the runner's entitlements and the parent has to be a registered participant for that category. You do not need to register the child and you can bring along your stroller so that it gets easier to handle the little one when he/she gets tired. Yes, this means Baby Asher will be going for his first run very soon, woohoo! I definitely think it's worthwhile to let the young ones try it out and be exposed to such fun-filled and meaningful runs. For all A Happy Mum readers, you can enjoy a 10% discount off prevailing rates when you register from now till 15 Jan 2017 at www.safarizoo.run using the code SZR2017BGPAHMUM10. Good news! 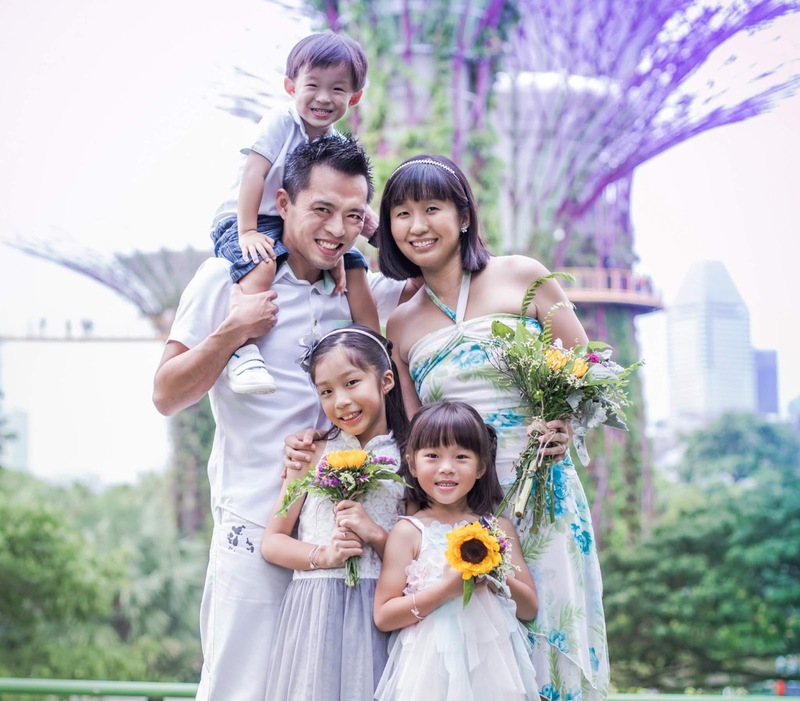 A Happy Mum is now giving away TWO race slots (in any category) to a lucky reader! 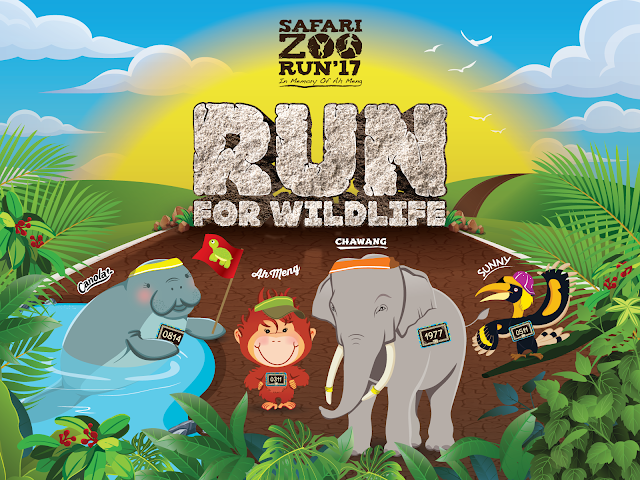 To participate, leave a comment in this post with your name, email address and tell me which is your favourite animal icon for Safari Zoo Run 2017 and why. Indicate in the Rafflecopter widget that you have done so and to increase your chances of winning, you can choose to carry out the rest of the options. Good luck! We sure hope to see you there next year! For more information on Safari Zoo Run 2017, visit www.safarizoo.run or their Facebook page. Our favourite has to be Chawang the Elephant because we love that Elephants have wrinkles (my son's favourite song) and because we support elephant conservation and hope that Asian elephants will continue to exist in future generations to come! My favourite animal icon for Safari Zoo Run 2017 is Ah Meng because he is cute, famous, clever and symbolic animal of Singapore Zoo. My fav animal icon for Safari Zoo Run 2017 is AH MENG - Many Singaporeans have shared breakfast with her. She was a true icon of Singapore, and the only furry one of its kind. Ah Meng may be gone, but she continues to inspire visitors to the Singapore Zoo to learn and understand more about orangutans and their plight. She will forever live on in our hearts – the pride and joy of our zoo. My favourite animal icon is Ah Meng! Always remember the nostalgic memories of me going to the zoo during school excursion. My boy is born in the year of Monkey. Thou Ah Meng is not around I still hope to bring my boy to see other orang utans and monkeys! Fav animal icon has to be Ah Meng. We knew him since young and have fond memories. My favourite animal icon would have to be Chawang, because I have read that its inclusion is to reflect the endangerment of its species due to poaching, and I feel for the cause. Chawang. My boy and I just love to watch out for him during our visit. Maybe cos' of its size? I like Chawang the elephant. Chasing the elephant. My boys always go and see the elephant show when they visit the zoo. Jasmine Neo. jasmineneo888@hotmail.com. My family (including myself)'s favourite is new Ah Meng orang utan because we love to see orang utans swinging from trees to trees in the zoo. I like Canola 0814. Slow & steady. Ah Meng is my favourite, after all this cute Sumatran orangutan is our Singapore Zoo's iconic star! I would think that my favourite is Sunny, the helmeted hornbill! It is beautiful in nature and it is one of those animals you don't get to see flying around! Always remember how I screamed in excitement when I saw them in bird park! My favourite animal is Ah Meng coz he symbolic animal of Singapore Zoo. My favourite animal of all would be Ah Meng, the Sumatran orangutan! 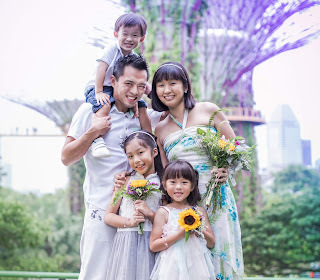 I've amazed how Ah Meng was raised to be an iconic Singapore Zoo star since young! I even remember I went library to research on orangutan after visited them in the Zoo! My favourite animal icon for Safari Zoo Run 2017 is the helmeted hornbill! Although it looks strange, but if you've studied about the hornbill, they are very much helpful to the nature! They are often called the ‘the farmer of the rainforest’ due to its role in seed spreading around its natural habitat in the forests of Borneo! Favourite animal would be Ah Meng, the orangutan! Always love its friendly and docile personality! My favourite is Ah Meng, the Sumatran orangutan! Not just my favourite, but I believe it's everyone! After all she is the tourism icon of Singapore!